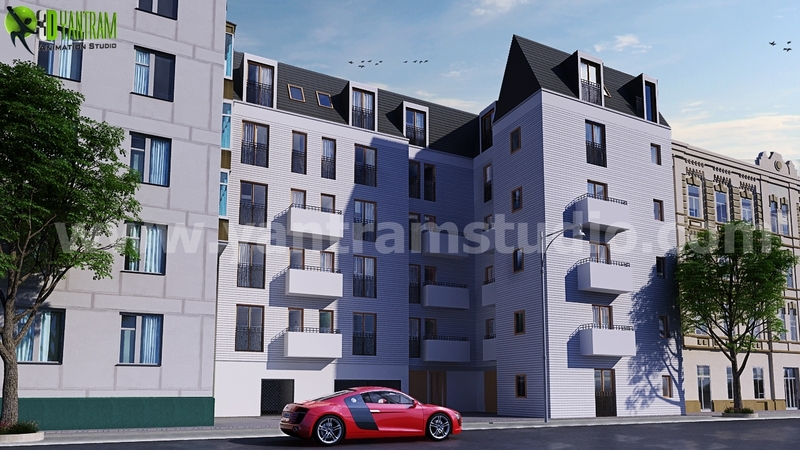 Artist's Comments: !div style="display:none"!edf40wrjww2gallery:imagedesc!/div!One Stop Solution for all your Architectural Rendering Service where you can customize and visualize your ideas for 3D Exterior Building. In this project we had developed exterior building and similar neighbor building with same color and texture. A luxurious Red Car and rough drive way makes image natural.